Players need only push a heavy object off a platform and onto a section of weak flooring below in one of the game’s earliest areas for evidence of just how intellectually challenged these poor creatures are. A never-ending stream of “shadows,” as main character Randall Wayne calls the zombies, will mindlessly amble their way towards the gaping hole in the floor only to end up joining other dead zombies similarly lacking in brain power in a pile on the floor below. It’s a bit of comic relief waiting to be discovered by players in a game that tells a grim tale of post-apocalyptic survival painted primarily in black, gray and brown. Those who fail to masterfully manipulate physical objects in the game will likely fall prey to the shadows. Though it’s possible that not everything in Deadlight will be such a serious matter (no physics pun intended). Players will encounter mini-games at some point(s) during the title, but it’s not clear whether they’ll be part of the main campaign or some separate distraction. When asked if he could discuss the details, Rubio replied that he most certainly could. However, he wasn’t about to do so. Instead, he just smirked and mimed zipping his lips shut. Eager gamers will have to hold on until another time for clarification. Getting back to the game, it’s clear that players will need to lean heavily on the aforementioned environmental interaction if Wayne is to escape his living-dead pursuers, and escape them players must. Wayne’s only goal is to stay alive long enough to discover a way to save his family from the zombies. Doing so won’t be easy, since he’s a simple “everyman with no skills and no weapons” at the outset of the game. That second part changes quickly, as it wasn’t long before I got my hands on an axe that was implanted in the skull of a shadow that was down for the count. Rubio wants players to think of the axe more as a tool than as a weapon. 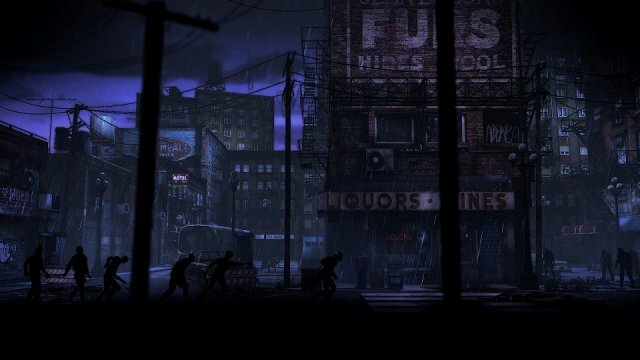 Although it can be used for killing the undead, its slow movements make it less than completely reliable when larger groups of zombies approach. The first thing it’s used for in the game is hacking a padlock off a gate, and even though several zombies met their end thanks to the blade chopping them up during my time with the title, the demo and the director’s words left the impression that it will be called on more to eliminate barricades than to execute foes. There will be more powerful weapons in the game, however. While Rubio was quick to point out that there will be “No rocket launchers,” players are going to acquire guns along the way. Randall will pick up a shotgun at some point, for instance, but he’ll have to be careful when using it and other firearms. Though the zombies are dumb, they maintain a potent sense of hearing. 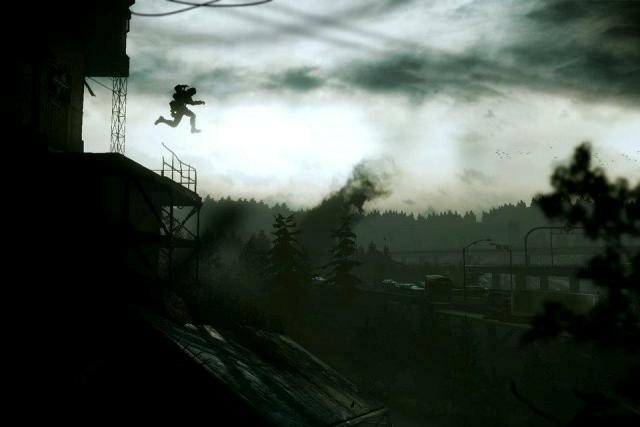 Blowing a couple away might get one out of a jam, but it also has the potential to betray the player’s position and bring other zombies in for the kill. Getting overwhelmed won’t be terribly annoying, though: checkpoints are sprinkled liberally throughout the game. Both gameplay elements are part of Tequila Works’ attempt to create a “balance between challenge and frustration,” said Rubio. The title features plenty of platforming sections, and being the slightest smidgeon off in positioning or timing will always result in Randall’s doom. The character has a heavy “weight” to him that takes some getting used to and adds to the difficulty for gamers who are used to the wildly unrealistic — though often fun — sprinting and jumping mechanics featured in so many platformers over the years. 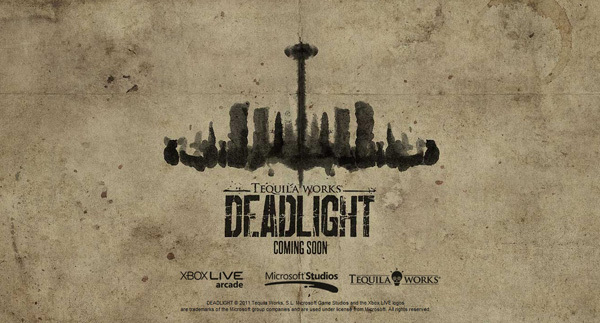 The platforming in Deadlight is inspired by the original Prince of Persia and follows the popular easy-to-learn, difficult-to-master approach to video game difficulty. Rubio found an even more blunt way to describe it: “Do it right, or you die.” The demo never felt frustrating, though, despite the fact that I failed to do things correctly on a number of occasions and ended up dead. Randall almost always respawned just before the point of death, eliminating the discouraging feeling of being killed and being forced to replay huge chunks of a game. Jordan Mechner’s classic game is far from the only creative work the team drew inspiration from. The zombies are of course meant to be like the ones found in George A. Romero’s 1967 film, The Night of the Living Dead. On the literary front, Rubio cited the horror works of Stephen King as an influence. Finally, Comic Book Artist Richard Corbin got a nod for inspiring the team as well. 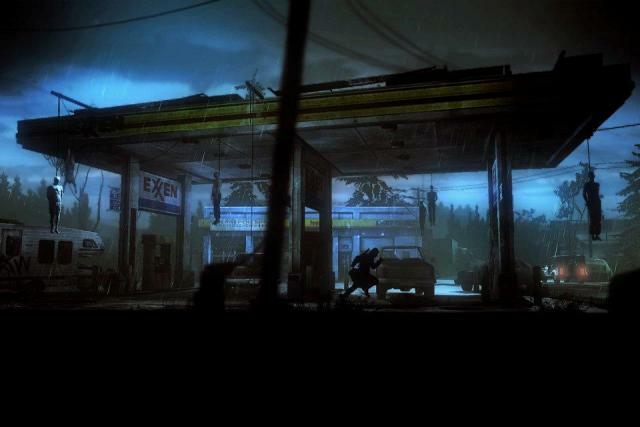 The game is set in Seattle in the year 1986, when the world was in the midst of the Ronald Reagan-era of the Cold War. When asked if there was a specific reason for the time period being used, Rubio smiled wide and exclaimed, “Of course!” The feelings of fear and panic over the potential of nuclear war between the United States and the USSR are meant to come across in the gameplay. Randall is in a panic over how to approach the threats he faces in the world of Deadlight and the best response to his feelings of fear is to run for it. Gamers can call on their own fight-or-flight instincts when Tequila Works’ platformer launches this summer.